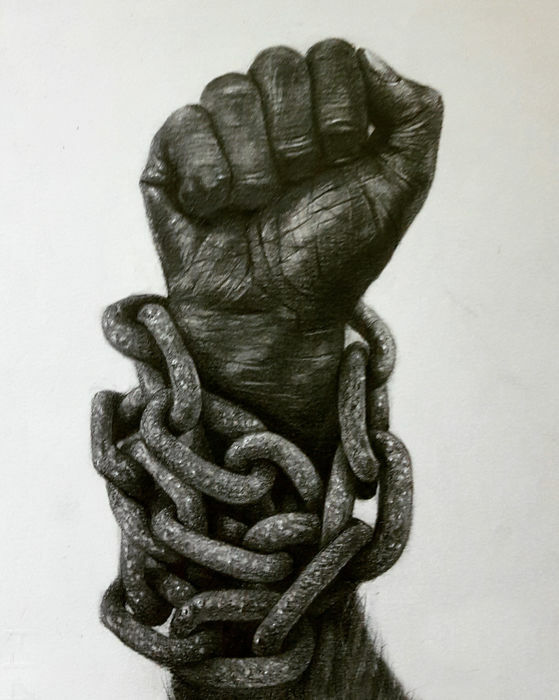 Graphite on watercolour paper depicting a conceptual artwork, the freedom from our own chains and the strength to rebel. Artwork of infinite meaning by the artist Perseo. Thank you for the quick expedition. The drawing is exactly what was expected.